Falling in love is arguably the best feeling in the world. You can’t get enough of each other, can’t stop thinking about each other, and feel like it’s going to last forever. But the reality is nothing truly lasts forever, relationships change with time. Sometimes for the better, more commonly for the worst. Therefore, it’s better not to make promises while dating. It takes between 3 to 6 months for that “I can’t get enough of you euphoria” to level out and allow your true feelings to be felt. Also, for your subconscious issues to come to the surface. Feelings change, that’s why most relationships only last for 3 to 6 months. In light of all this, any promises made prior to being together for 6 months have a low percentage chance of actually being kept, and therefore shouldn’t be made. Promises should be made to be kept! You don’t get to change your mind and still keep your integrity. Broken promises create deeper heartbreak because promises raise expectations. Integrity is a very important value to have. Please do not compromise your integrity by making promises before your true feelings have emerged and you’re willing to keep your promise at any cost. 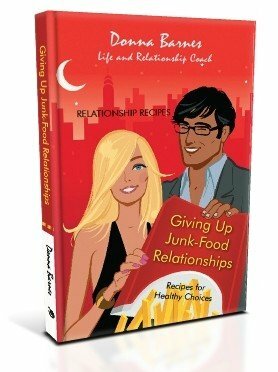 Giving Up Junk-Food Relationships will help you recognize and create a healthy, long-lasting relationship.